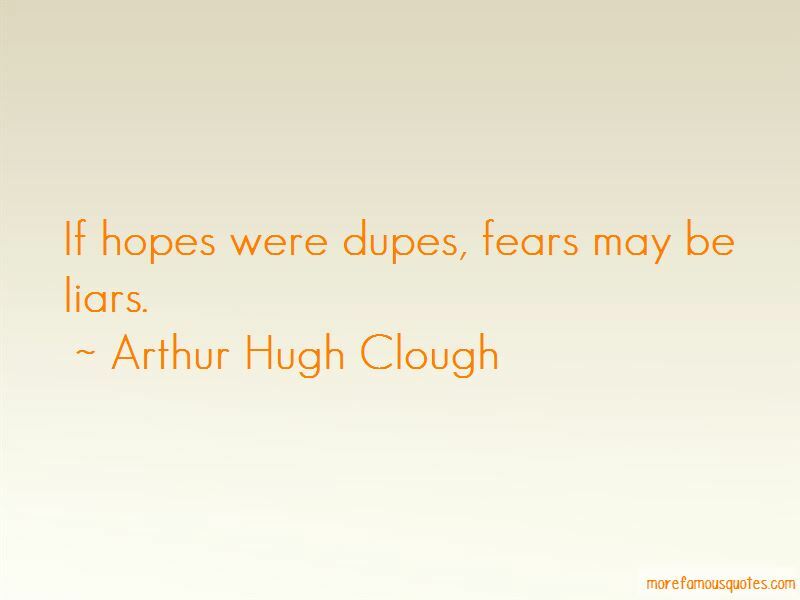 Enjoy the top 27 famous quotes, sayings and quotations by Arthur Hugh Clough. The horrible pleasure of pleasing inferior people. Thou shalt not covet; but tradition approves all forms of competition. Do not adultery commit; Advantage rarely comes of it. Loving if the answering breast Seem not to be thus possessed, Still in hoping have a care; If it do, beware, beware! But if in yourself you find it, Above all things mind it, mind it! I watched them from the window, thy children at their play, And I thought of all my own dear friends, who were far, oh, far away, And childish loves, and childish cares, and a child's own buoyant gladness Came gushing back again to me with a soft and solemn sadness; And feelings frozen up full long, and thoughts of long ago, Seemed to be thawing at my heart with a warm and sudden flow. 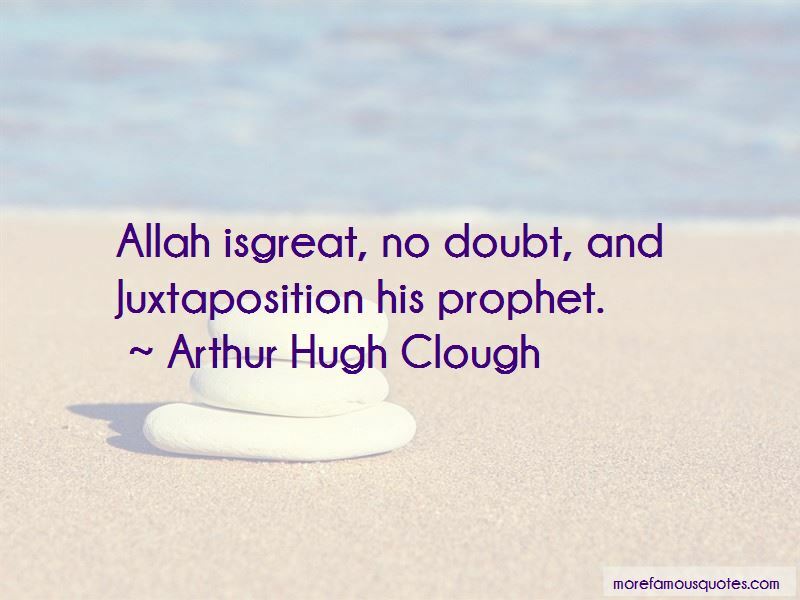 Want to see more pictures of Arthur Hugh Clough quotes? 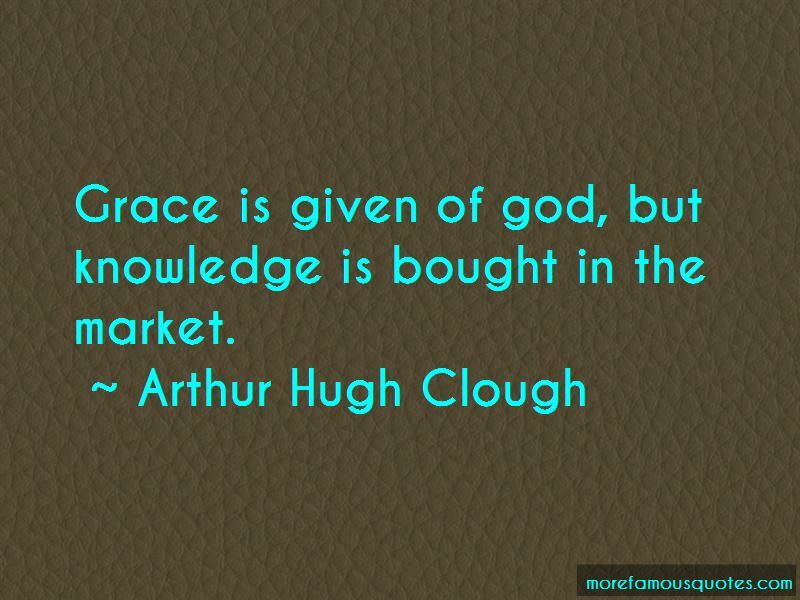 Click on image of Arthur Hugh Clough quotes to view full size.